The first two days of this week I was having so much fun that I began to worry the cops were going to kick in my door and pile inside to find out what sort of illegal drug I was using. What occasioned my hilarity? Simple: I've been reading a delightful thriller called Wounded Prey by Sean Lynch, a retired Northern California cop who has taken up crime fiction as a post law enforcement career. 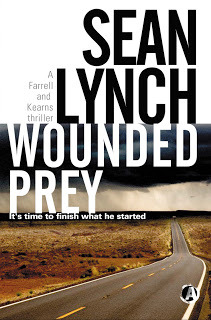 Wounded Prey, Lynch's first novel, introduces a pair of investigators that I hope will be around for a long, long time: retired San Francisco Police Inspector Bob Farrell and Story County (Iowa) Deputy Sheriff Kevin Kearns. This unlikely duo is thrown together by a serial child killer that each of them has failed to stop: Farrell when he was working as a military police officer during the Vietnam War and Kearns when he was out jogging and happened onto the site where the killer was abducting his next victim. I don't want to give away too much of the plot, but suffice to say Farrell is a master scammer who thinks nothing of passing himself off as (1) a lawyer to a roomful of cops and FBI agents, (2) an FBI agent to the administrators of a Veterans Hospital and (3) a coroner's investigator to police at the scene of a multiple murder. Kearns, on the other hand, is as green as guacamole, but as stubborn as a pack mule -- and hotheaded enough to break an FBI agent's nose when the fed suggests he did less than his best while struggling to subdue the killer at a school bus stop. Together, this pair tracks the villain from Iowa to California, getting into a series of shootouts and fistfights along the way. 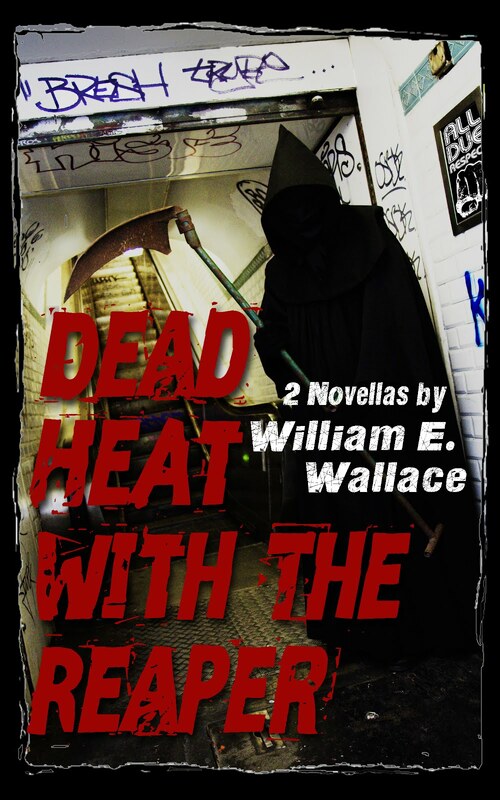 They manage to stay several steps ahead of the police and the self-aggrandizing federal agents who have pushed their way into the case until the very end, and the novel concludes with a violent confrontation that should satisfy even the pickiest reader. In "Wounded Prey," the writing sparkles. Sometimes Lynch gives you a tiny literary gem, like the brief passage in which Kearns, besieged by reporters on a frigid midwestern night, opens the door for one of his colleagues in the sheriff's department: "Evers came in, his breath visible." he writes, giving a sharp but terse visual image of the cold. Author Sean Lynch: he tells a first-rate story in a stylish way that is a pleasure to read. The simplicity of this six-word sentence belies the thought that Lynch put into it. It does exactly what is needed, and it does it with flare. [He] stared at his sagging jowls and grunted. 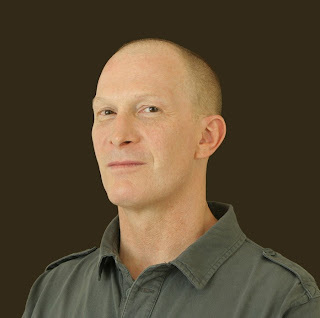 His thinning hair, which he'd grown long on the left side of his balding head and slicked over to the right, had flopped the wrong way during his sleep and stood straight up like an erection. Exhaling smoke through his nostrils, he patted down his errant hair and said to his reflection, "At least one part of my anatomy will still stand up." Not only does this passage give you the visual, but it also tells you that Farrell (1) is getting old and (2) maintains a sense of humor about it. Toward the book's conclusion, Farrell tells Kearns he is opening a private detective agency and asks the young deputy if he wants to be a part of it. "I don't know the first thing about being a private investigator," Kearns said truthfully. "What's to know?" [Farrell says]. "You're smart, resourceful, good with your fists and a gun, and I could use the help. Besides, we belong together. We're a team, you and me. Like the Lone Ranger and Tonto, or Holmes and Watson." counterbalances the darkness of the story and most readers will find something that makes them laugh every few pages. If Wounded Prey has a flaw, it lies in the fact that Lynch occasionally repeats himself when he has his characters explain that their desperation to capture or kill the villain stems from their failure to stop him when they had their first chance. Once this point has been made, it doesn't need to be restated. The author would be better off having faith that his readers get it and moving on from there. However, this is a very minor defect in a very good book, and certainly not one that seriously interfered with my pleasure in reading it. According to his blog, Lynch is already at work on his next novel and expects to release it next year. I, for one, will be counting the days until he again has me worrying that my laughter will bring the police knocking on my door.